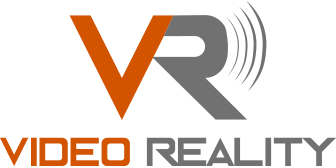 Video Reality has been in the audio/video business for over 25 years. During the last 20 years, we have been creating custom integration solutions for schools, government agencies, and businesses throughout Oklahoma and Arkansas. Video Reality has integrated interactive whiteboards, projector systems, digital signage, video conferencing, and multi-room control systems into various venues such as universities, vocational schools, distance learning labs, hospitals, and restaurants. Video Reality provides onsite product training and also offers a full-service training center at the home office in Oklahoma City. We can customize a training session to fit a smaller group with hands-on training to enable the highest level of interactive training. We can also customize training to allow for a larger group of participants in an FAQ or Q&A session style. We offer full support of our products through our own manufacturer trained Account Managers and Technicians. Each employee who works with customers and products attends the product information and/or training classes offered by our manufacturers. This ensures that each system is installed according to manufacturer guidelines and maintained with best practices. In addition to providing a full range of services such as design specifications, integration, product training, and installation, Video Reality offers complete follow-up services like customized site maintenance to further your investment.